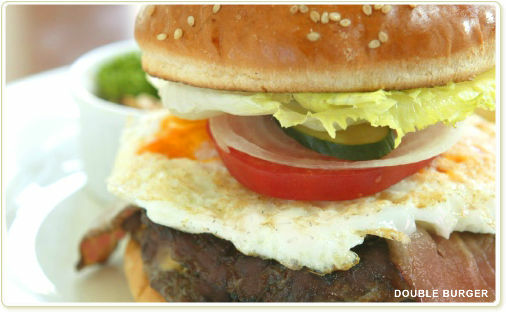 You don’t know how difficult it is to get a decent burger in Tokyo let alone Japan. On a recommendation from a friend, I went to check out Baker Bounce which is inside the newly opened Tokyo Midtown in Roppongi. To my surprise this place was actually pretty good. They use an all beef patty thats more like chopped steak instead of ground beef. The bun is good and the veggies are fresh. And the portions are like the corner diner size which is good. Check it out when you get a chance. There is this little quaint restaurant in Azabujyuban called Edoya. They serve what is considered western style cuisine in Tokyo. 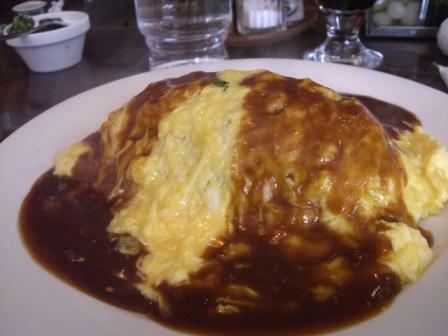 They have been around for years and have been serving yummy dishes such as beef stew, beef fillet cutlets, macaroni au-gratin, and their lunch specialty Omu-rice, which is a dish consisting of a tomato sauce flavored chicken fried rice all encasulated in a very rare omlette, hence the name Omu (omlette)-rice. Its topped off with a home made demi-glace (traditional french brown) sauce. You are currently browsing the THE FFUJE blog archives for June, 2007.